Summer is not the time to wear a full face of makeup. When you’re at the beach or pool, the last thing you need is a cake-like layer of makeup clogging your pores and running down your neck as you try to have fun in the sun. Instead, follow these summertime makeup tips to ensure that your look doesn’t hold you back when you’re enjoying the outdoors. Start With an SPF Base – The most important step in any summer makeup look is to begin with a good SPF. 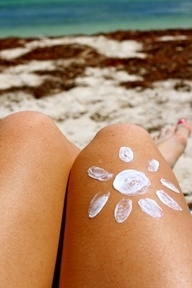 Find a moisturizer that contains sunscreen but is gentle enough for the sensitive skin on your face. Apply to clean skin and allow the sunscreen a few more minutes to settle than you would for a regular facial moisturizer before you begin applying your makeup. Ditch The Foundation and Powder – Avoid heavy coverage if you’re headed out for a day of fun in the sun. Instead, look for a BB cream or tinted moisturizer. These alternatives to regular foundation will give you the coverage you need without the heavy feel. If you’re buying makeup online and are in between shades, select the darker shade, as skin tends to darken during the summer due to the sun. The Great Makeup Debate: Use a Foundation Brush or Sponge? 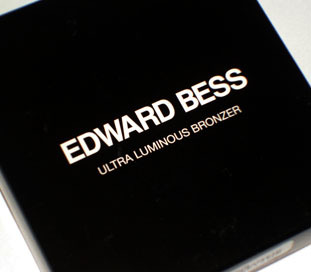 Bronzer is Key – Brands like Edward Bess and Sleek Makeup offer high quality bronzers that give your skin a subtle but alluring glow. Not only will bronzer make you look totally sun-kissed, but it can be used to contour cheekbones and slim your jawline as well. It is a totally versatile product that is crucial for any summer makeup kit. Remember, less is more when it comes to summer makeup. Avoid heavy eye makeup looks and instead just do a little colored eyeliner and a few coats of mascara for a summer makeup look that is simple and foolproof. Finish with a layer of a fun, fruity lip gloss and you’re good to go.